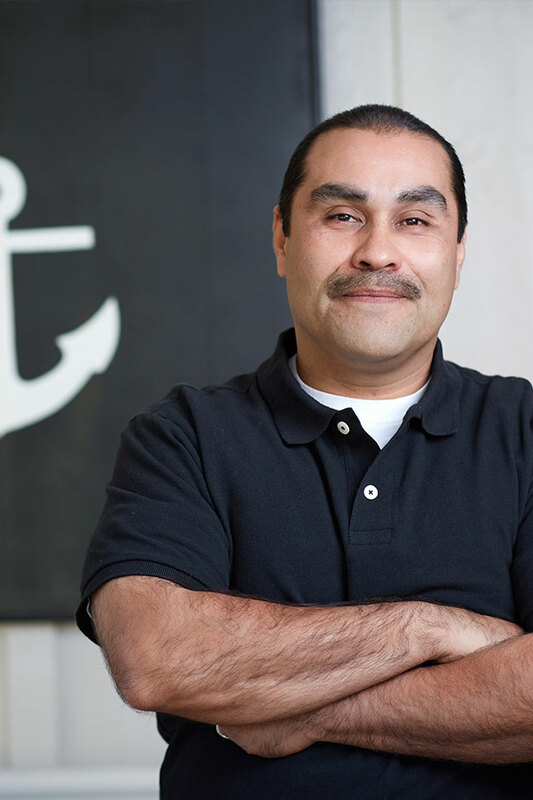 Jose, Tracy Lynn Studio’s warehouse manager, delivers efficiency, getting the many pieces involved in a project to the right place at the right time. He delivers organization, as he inventories, tracks and coordinates all of the furniture and accessories in the Studio’s warehouse and gets it to the client’s homes. He delivers commitment, being there when needed and always coming through for the designers regardless of the project. Jose is a constant source of support for the design team, doing whatever it takes to help the designers and their clients. Whether it is dropping samples off for a client or moving a plant to just the right spot, he really is the backbone of the company. In his many years at Tracy Lynn Studio, Jose has become a valued and important member of the studio. A genuine and gracious team player, Jose showcases a dedication that will have him delivering whatever is needed well into the future. Jose is a San Diego native and committed sports fan who enjoys watching games with his wife Sonia.